The Isle of Barra is one of the most attractive islands in Britain and recently came first in a 'Most Beautiful Island' competition. Its tranquillity, distinctive culture and fascinating history make any visit to Barra a memorable one. 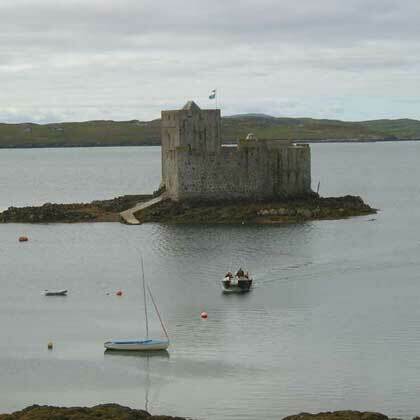 It is also an ideal starting point for visiting and exploring the Uists and Benbecula. The island is only 8 miles long and 4 miles wide, has beautiful white sand beaches and seven lochs which provide great fishing for brown and sea trout. The population is approximately 1300, many of whom still have the Gaelic. 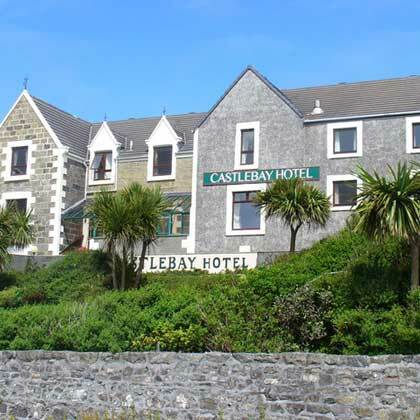 Castlebay was once a 19th century fishing port and today is the main town on the Isle of Barra. There are a couple of hotels, church, post office, school, grocers, supermarket, bank, swimming pool and petrol station. The Isle of Barra is one of the most attractive islands in Britain and recently came first in a 'Most Beautiful Island' competition. Its tranquility, distinctive culture and fascinating history make any visit to Barra a memorable one. 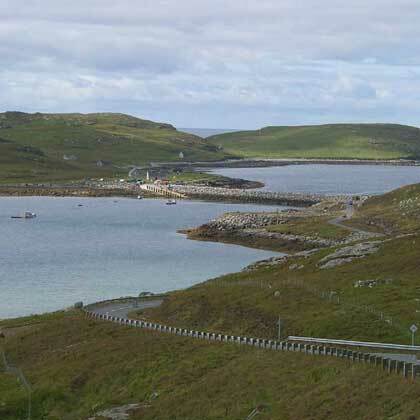 It is also an ideal starting point for visiting and exploring the Uists and Benbecula.